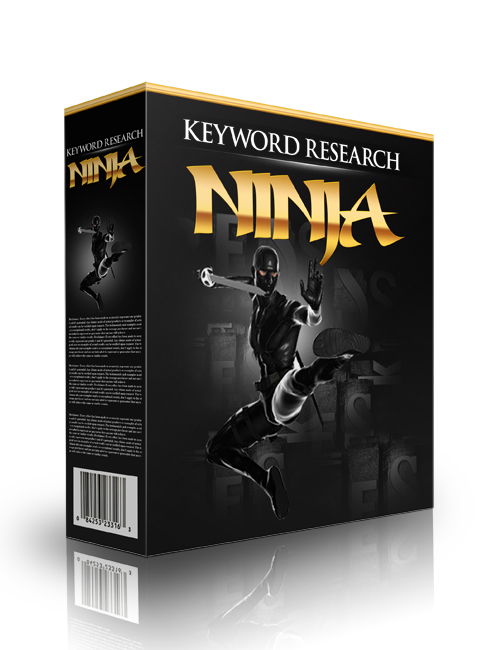 Keyword Research Ninja is the incredibly effective software plugin for beginners and veterans alike that makes it easy to search and choose the very best keywords so you can get noticed by your niche target audience. If you want to get noticed online you are going to have to become visible to your target audience via the search engine crawlers. One of the easiest cost effective routes to boost your online rank is to use up-to-date keyword writing. With quality writing you will get in front of your niche audience and gain the trust to drive them to your pages quickly while also making the search engines happy. When you do this you are generating momentum and that’s going to help you create your solid online business platform and income stream or more to match. Quality content is king and when you educate your audience with quality articles that have practical and strategically placed keywords you are going to drive your online presence into the light quickly. It won’t take you long to gain authority and build your solid brand to succeed when everything is properly done in terms of planning and execution. Keyword Research Ninja is the software solution to help you boost rank and gain the authority you need to succeed quickly online. You need killer keywords and this powerhouse software is the key.